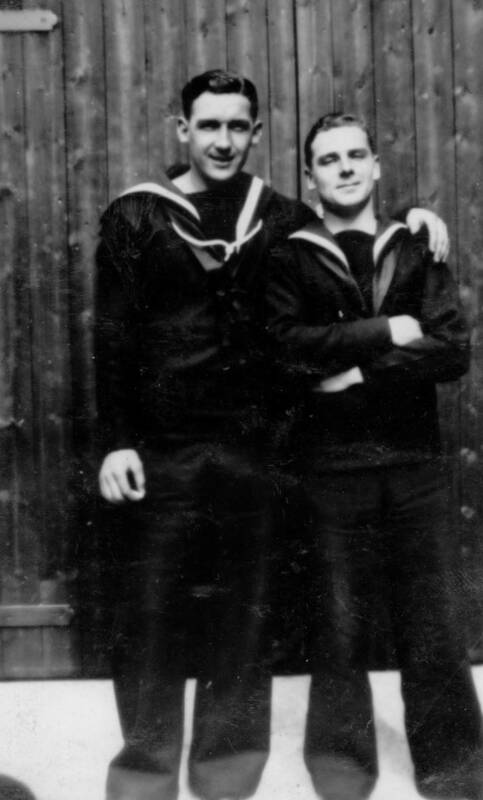 Thomas "Tom" Parkin (left) and an unidentified friend. 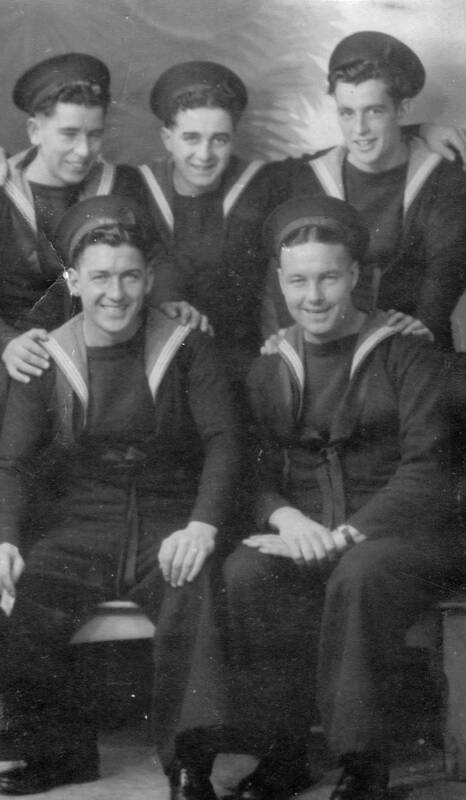 April 12, 1943: Top row left to right: Jack, Harry, Tom Parkin. Front row Tommy (left) and Bert (right). Photo taken at Blackpool. 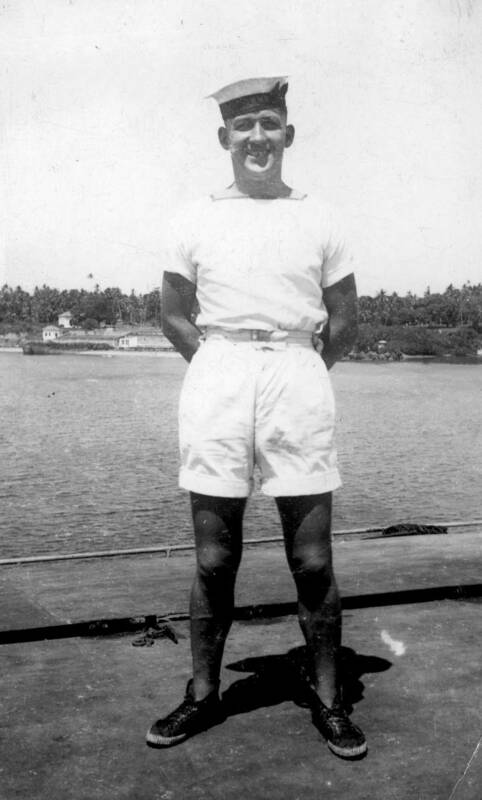 Tom Parkin seen on the flight deck of HMS Illustrious. 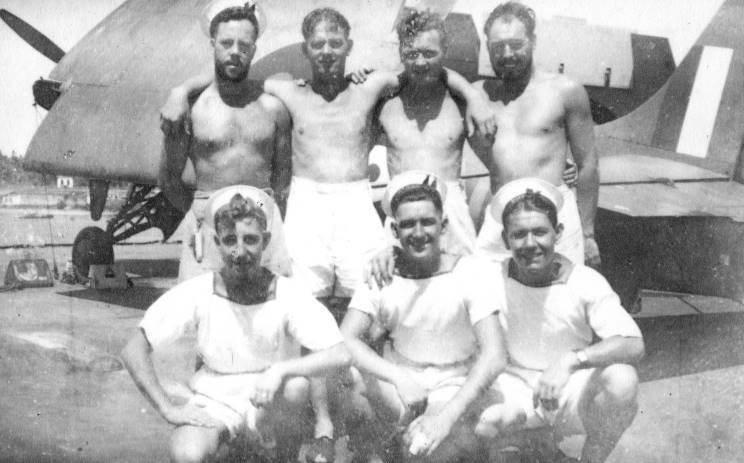 A group of unidentified sailors seen on the flight deck of HMS Illustrious, Tom Parkin is seen front row center. 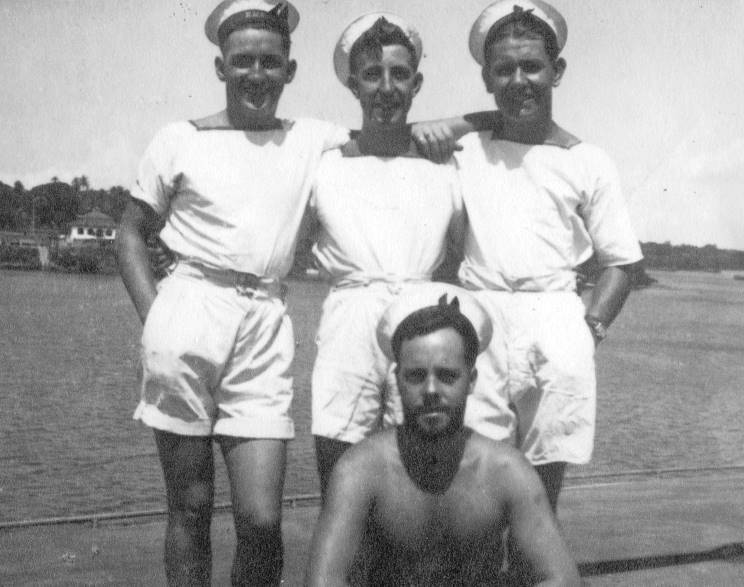 A group of unidentified sailors seen on the flight deck of HMS Illustrious, Tom Parkin is seen top left. 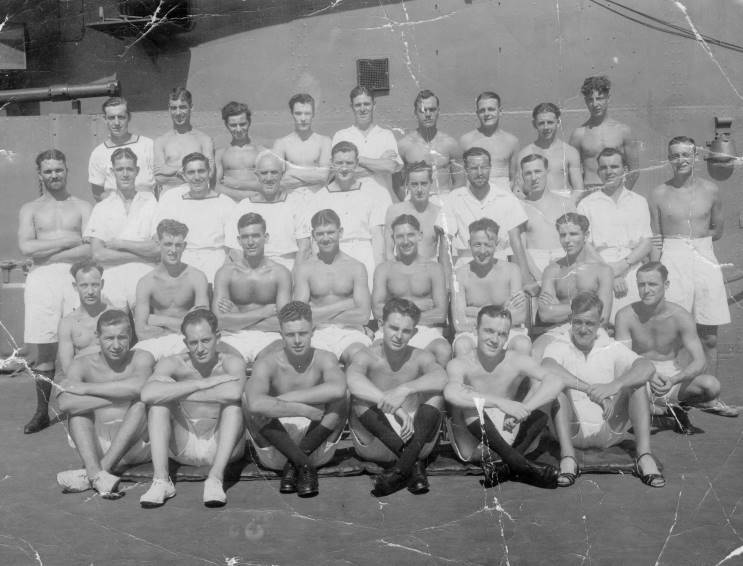 A group of unidentified sailors seen on the flight deck of HMS Illustrious, Tom Parkin is seen 2nd row from bottom, 4th from right. Thanks to George and Joan Hunter for providing access to this collection. And thanks to Philip J. Heydon, I.S.M. for scanning the collection.